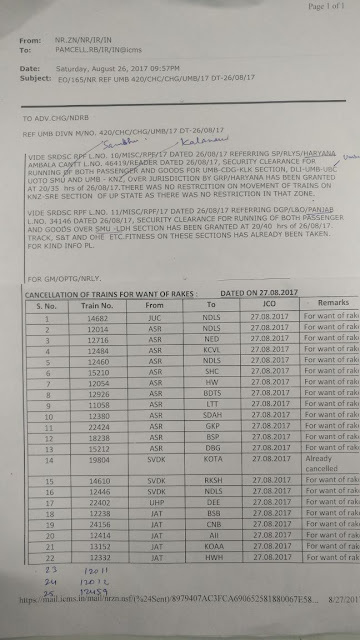 All the trains o­n Delhi-Jammu, Delhi-Amritsar, Delhi-Chandigarh, Moradabad-Saharanpur-Ambala Sectionshave been restored with immediate effect. However there are 25 trains (list enclosed) which have not been restored for rake balancing/availability exercise. 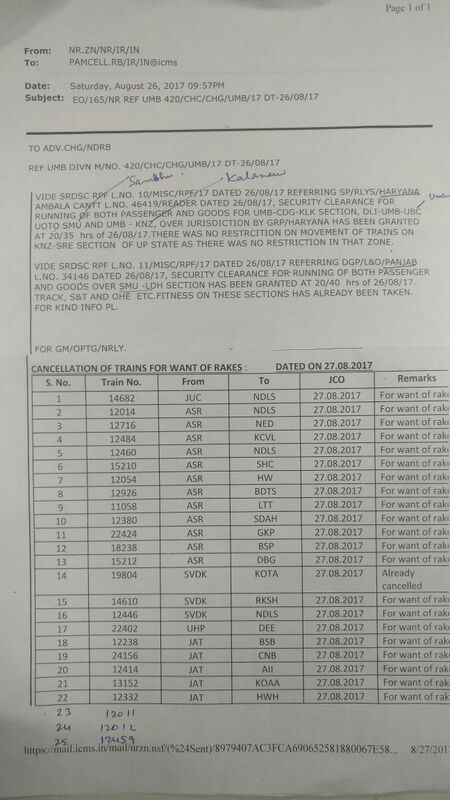 The security clearance for Delhi-Rohtak-Bathinda Section is awaited from State authorities. The information related to running of trains is also available and updated o­n NTES system. Passengers are requested to check the status at 131 or may visit Railways enquiry website for updated status please.